Using Stock Indexes As Market Barometers: How To Know Within Seconds Where Most Currency Pairs, Or Other Assets, Are Going. The First Step To Understanding What’s Moving Markets. What if you could get a good idea of how all forex pairs or other major markets are trending, in just a matter of seconds, by looking at just one chart? You would be a much better trader or investor. If normal correlations between that chart and other assets were working, you’d have a much better feel for market direction, and over time you’d learn how different kinds of developments influence different markets. If you saw assets diverging from their normal correlation, suddenly moving in unexpected directions, then you’d quickly know to start investigating whether the change was meaningful or just random noise. You’d develop a better sense of what are the underlying forces driving that chart. In fact you often can do this. Your usual trading session: Are you active, or at least making decisions and planning entries and exits, during the Asian, European, or US session, or during hours when two regions are open? Your anticipated holding period: As we’ll see, traders with very short holding periods will usually need different indexes than long term investors. As discussed in our introduction to inter-market analysis, most asset classes are risk or safe haven assets, that is, they tend to trend up or down depending on whether markets are feeling optimistic or pessimistic. Thus they are to varying degrees influenced by overall prevailing risk sentiment, aka risk appetite or risk aversion. Therefore in order to better predict and confirm the state of their positions and portfolios, every active trader or investor needs a way to monitor risk sentiment for the time frame in which they trade and their anticipated holding period. This article will focus on why certain leading stock indexes make good “quick and dirty” risk sentiment barometers, and which ones to follow depending on your time frame and trading session. 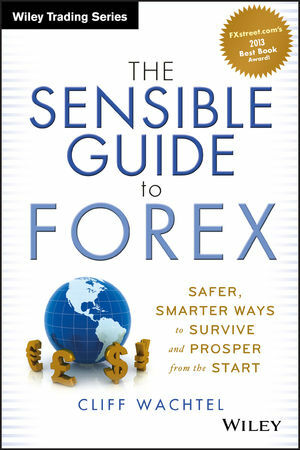 The focus is on forex markets and traders, but most of what’s written here will be relevant to those involved in other markets. As we discussed in Part 2 of this series, the major currencies and currency pairs can be classified as risk or safe haven assets and are sensitive to risk sentiment. Here’s that handy table that shows the how the major currencies rank on the risk spectrum. See the above referenced articles for why understanding this table, and its ramifications, can be so useful for everything from market analysis to hedging your portfolio. However, while currencies and currency pairs may be risk sensitive, they are not ideal overall market risk barometers compared to stock indexes. Too many charts to track: Seven major pairs in addition to any other pair relevant to your trading style, easy to confuse risk and safety trends when under pressure. Need To Filter Out Local Developments For Each Currency Pair You’re Watching: For example, it’s hard to monitor 8 different major pair charts and filter out effects of local developments on some of them at the same time. Currency specific news can override the effects of risk sentiment. For example even when markets are feeling good and risk assets are rallying, the AUD or NZD may fall if there is bad news out about their economies or about the economies of their major trade partner, China. Easier To Confuse Which Pairs Move With Or Opposite Risk Appetite: Moreover, currency pairs move up or down with the currency on the left, called the base currency (think: price movements are ‘based’ on the currency on the left). For example, if the EURUSD is moving higher that means the EUR is appreciating versus the USD, because EUR (on the left) is the more of a risk asset, the USD is more of a safety asset. Thus a rising EURUSD suggests rising risk appetite (optimism). However in other pairs the base currency is the more safe-haven of the two and so the pair moves in the opposite direction of risk appetite. For example the USD is lower on the risk spectrum than the CAD, so if the USDCAD is rising that suggests risk aversion. If you’re under pressure it’s easy to get confused about what a given pair’s trend is telling you, especially if you’re looking at many charts at once. You can get a good fix on prevailing market sentiment while avoiding the above issues by just monitoring one, maybe 2 (if you’re active when different continental market hours overlap) stock indexes. The scope of activities of their component companies encompasses virtually all sectors and regions of the global economy, so if you pick any of the largest indexes in a given region (Asia, Europe, US), you should have a good quick read of risk sentiment at a given moment. First we’ll deal with indexes as general risk barometers, then look at how they work for forex traders. Over The Long Term, Most Indexes Major Stock Indexes Trend Together: For example, as shown in the charts below, over the longer term the major indexes trend together. We define a long term holding period here as 6-12 months or longer, as distinguished from multi-year holding periods, which we’d call “very long term”. Feel free to disagree with the precise holding period definitions, the key here is that you know how we’ve defined our time frames here. Therefore as a general rule, long term investors can use any of the largest global indexes to gauge long term risk appetite. There are some variations from this rule that we’ll discuss below. In the short term indexes correlate better by region or trading session: In the short term, as shown in the four hour charts below, indexes correlate better by region. We define short term here as a month or less. Again, feel free to disagree over this definition, the important thing here is that you understand our time frames here. We leave very short term and intraday trading time frames for a separate article. Note how, on these 4 hour charts, the trends vary by region (although the Nikkei more closely resembled the European indexes in this case), whereas on the weekly charts the there was little difference US, European, Japanese, or Australian stock index trends on the weekly charts above. The key takeaway point here is that your holding period, and thus your chart time frame, influences your choice of which stock index to use as a risk barometer. If you’re a long term investor with typically long (multi-month or year) holding periods, you can afford to stick to the very biggest global indexes like the S&P 500, because as shown below, their trends are similar over time. Their components (or similarly large capitalization indexes) cover virtually every business sector and region and so provide a good overview of risk appetite. More on this below. Shorter term traders, especially those with holding periods of less than 48 hours, will find it best to stick to a large index that’s active when they trade, as index trends vary from region to region in the short term. So if you only trade in during one of the three global sessions (Asian, European, or Americas) you can usually suffice with following just the largest index that’s actively traded during your session. More on that below, too. We looked at a lot of different combinations of index and currency charts in a variety of time frames. A full review would get tedious, so we’ll just hit the highlights for now. The short version: short term forex traders will usually get a better read of relevant risk trends by using an index that’s active during the session in which they’re active, be it Asia (Nikkei, Hang Seng, All Ordinaries, MSCI Taiwan etc. ), Europe (DAX, CAC, FTSE 100 etc. ), or US (S&P 500, DJIA, etc.). If you’re active during the highest volume hours of the trading day, when both London and New York are trading, you’ll have to experiment with which index or combination from New York, London, or Europe gives you the most relevant risk sentiment read for your personal mix of assets and time frame. For example, the below set of four hour charts compares a stock index, the S&P 500, with a few forex pairs with components from the opposite ends of the risk spectrum, so that we’d expect them to be especially sensitive to risk sentiment, which would send each half of the pair trending in the opposite direction. As you can see, these representative risk pairs indeed moved in the same overall direction as risk sentiment, at least as portrayed by the S&P 500, suggesting that these pairs indeed were moving with risk sentiment as shown by that index. Please proceed to Part B.